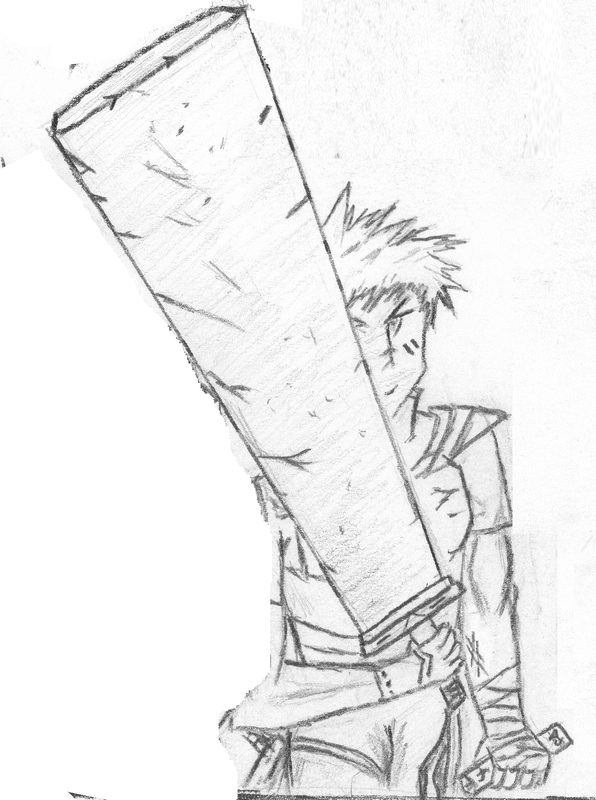 Gauge is one of the main characters in VayneLine. His personality is Byronic, curious, stoic and deeply self-reflective; he puts on confident airs but internally is doubting and somewhat cynical. Hailing from Terra, and wielding the large sword Farewell he is extremely wanted due to stealing the Solarian Federation starship Blue Dragoon. Gauge with Farewell, and holding Arianna’s object. He is a skilled fighter and intelligent; but is often lost in his own mind. Thinking too much on the reasoning for his actions it is sometimes to his detriment. He has neon white hair which is not completely abnormal but Arianna believes it is because he is ‘Marked‘ by dimensional forces for execution. Very skilled with a sword, he fights with the powerful ‘Farewell’. It is a large, light alloy sword. The weapon’s edge has a type of field to it to prevent it from becoming stuck inside something it swings through. Further, there is a very strong ‘Repulsion Field’ equipped on it that will literally blow targets apart, but he does not use this anymore and he tries to avoid killing, this is symbolized by the ribbon he has tied around the switch in the handle. Gauge is heavily philsophical and leans towards an interesting mix of pragmatism and idealism, of which he favors the former much more heavily. Slightly introverted he only acts out when someone tries to impose on his independence which he guards viciously. When Blue Dragoon was stolen, the primary allies of Gauge (‘The Original Four’) at the time were Reno, Billy, and Eirik. They met Fade on the escape out of the solar system. Later he becomes involved with Star Priestess Arianna which leads to the beginning of VayneLine when they have stolen a golden object from a colony that is under Burn attack. Gauge is torn between the women he is with, most notably Fade and Arianna. He has known Fade longer and shows nothing but devotion and loyalty to him, whereas he feels a draw towards Arianna but their vastly different moralities is a problem is he aware of. He constantly bounces between the two of them, and a dream figure he has made up and calls ‘Vayne’. Gauge is given a object by Arianna which is a Line Artifact and has the potential to change reality at heavy cost. This is a primary, if never directly stated, element to the story. His Strive is a double bar, and is actually a incomplete Strive, it means ‘Seeker’ but does not have the subject. His main ranged weapon is a battle pistol he carries around with him is nicknamed Rize, occasionally carries a small backup pistol strapped to his ankle named Rayne. This is a subtle reference to a story that has not been complete yet that takes place generations before VayneLine and involves two characters name Rize and Rayne. This is also referenced with the weapon ‘Silvershot‘ which was the name of the city the story took place at. Using ‘Rize’ is ironic as he actually prefers rifles but does not like the collapsible kind, nor rarely has one during a fight.